We are one of the leading engineering firms in the Toronto, ON area and take pride in making sure that each of our clients is satisfied. 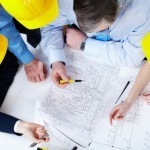 Engineering firms typically employ engineers practicing various specialties. There are several common types of engineering. The first is civil, which focuses on the design of roads, bridges, and other components used for transportation, as well as some focus on structures. Structural engineers tend to focus completely on structures, such as commercial office buildings, industrial facilities, and even custom high-end residential structures. Another engineering specialty is mechanical, where the focus is on mechanical components used in all types of things, from automobiles to lawnmowers. A third specialty is electrical engineering, which focuses on designing and creating electrical components for cell phones, computers, automobiles, and anything else that uses electricity. There are other types of engineering specialties, but these are the most common. At Belanger Engineering, we are an engineering firm that specializes in short-term and long-term planning to complete jobs from start to finish. We are one of the leading engineering firms in the Toronto, Ontario area and take pride in making sure that each of our clients is satisfied with the work we do for them. We make the effort to understand individual requirements, so we can convey technical issues to our customers while providing cost-effective and smart solutions. Not all engineering firms have the same experience. At Belanger Engineering, our owner has been in the industry for 25 years and provides top-notch service. Call us today to find out all of the unique ways in which our engineering firm differs from others in the area and throughout the country. At Belanger Engineering, we are proud to be one of the engineering firms serving Toronto, GTA, Mississauga, Markham, and Ajax, Ontario.